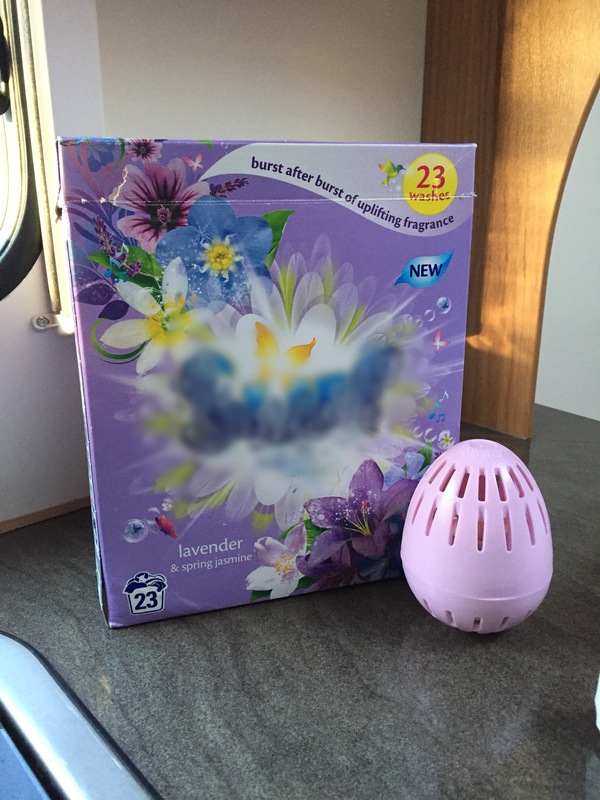 A spring blossom scented Laundry Egg that replaces your regular washing powder. I’m a little bit choosy, normally, about my choice of detergent. I have quite sensitive skin on my face and take medication for it so have to be quite careful as some detergents cause it to flair up. With no harsh chemicals and it’s hypoallergenic it’s worth a shot. 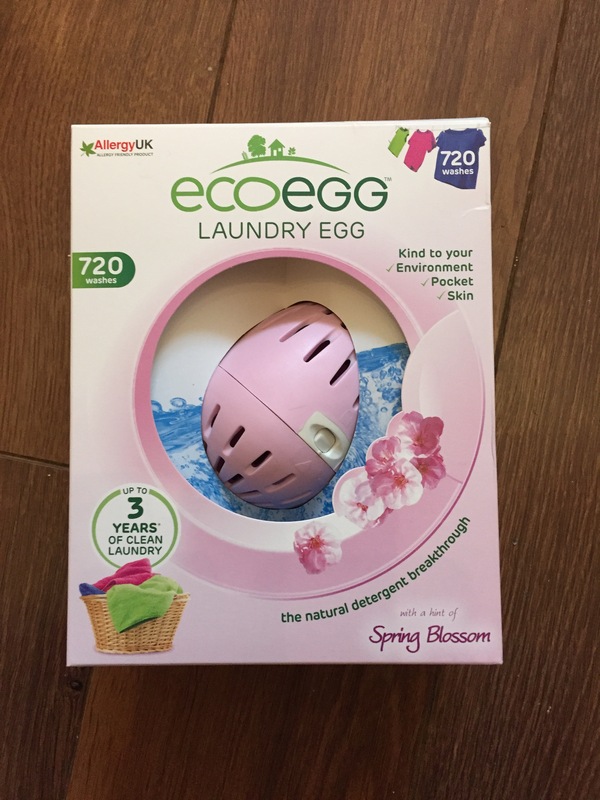 The Laundry Egg claims to be An AllergyUK product that is kind to the skin, your environment and your pocket. With mine claiming to have approximately 720 washes within the little pink egg it does seem too good to be true. That’s nearly 3 years worth of washing based on 4 – 5 washes a week. Unpacking my Egg, I’m quite excited to use it. The Egg needs some simple assembly but it comes with very clear instructions. 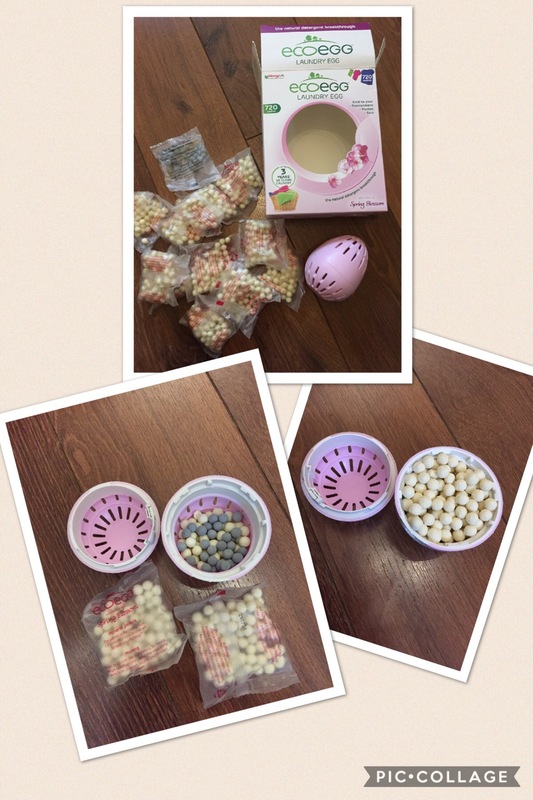 Separate the two halves of the Egg and fill with 3 packets of the included white pellets and 1 dark pellet pack. Fasten the Egg back together and it’s time to wash. This done and I think I’m ready to use it. When we are away in the caravan for more than a few days I do like to use an on site laundry if there is one. This generally makes my life a bit easier when we get home. We normally arrive back late and then have to be in work before 7am. Last thing I want to do after a 10 hour shift is laundry. This little gizmo is hopefully going to free up space and weight. I normally take a small box of powder with us on longer trips. This egg has now freed up valuable cupboard space. Washing gathered I’m off to the laundry. Usage of it is simple. 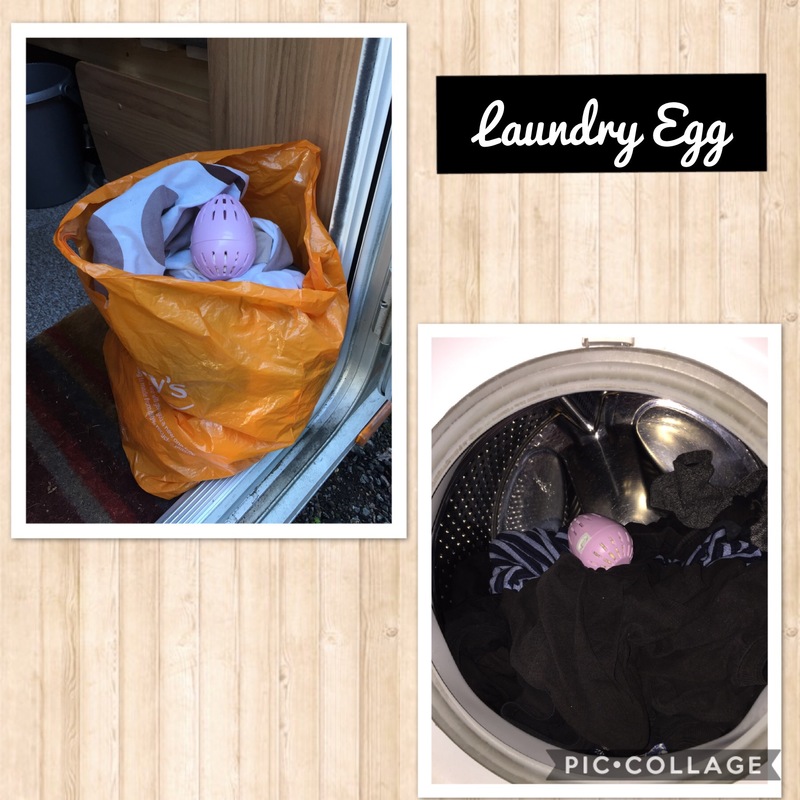 Load your washing, place the Egg on top and simply close the door. The Egg is best used at temperatures 60 degrees or below and don’t overload the machine. I added my normal dose of my usual fabric softener and left it to do it’s thing. Washing finished, let’s see how it’s done. The washing is clean and does smell nice. So far so good. I half expected the pellets to be sludgy and therefore difficult to store, but no, it comes out as it went in and the pellets still rattle if you shake the egg. Just stand the egg to air dry and I would confidently store in any caravan cupboard. At this point we have only used the Egg a handful of times. Maybe I’ll blog an update in a few months time to let you know how it’s doing.